Do More Wicks Make A Better Vape? Since the CE4 wicked clearomizer came onto the market some years ago there have been a whole range of funky, stylish and designer clearomizers to emerge from the the first CE4 initial design. One of the popular questions asked is; does having more wicks in the clearomizer create a stronger hit? The answer to this question varies as it can be a yes and a no depending on the quality of the clearomizer unit the wicks appear in. 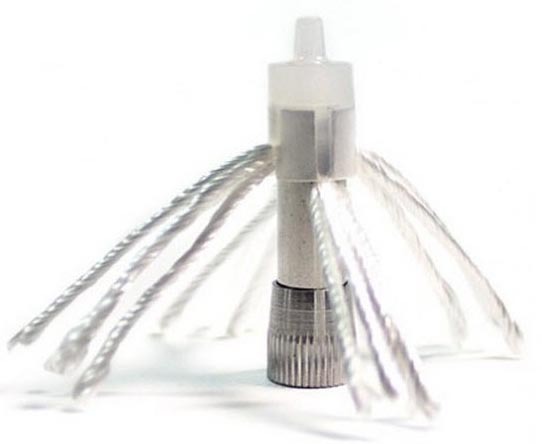 For example the iClear 30 has 16 internal wicks that help to create a great flavour and produce a great hit. The iClear 30 is phenomenally brilliant wicked clearomizer, so in this case the answer is definitely a resounding yes. More wicks inside the clearomizer tank (as long as the atomizer head can handle them) will produce more flavour consistency and more vapour as they draw more e-liquid up into the atomizer head for vapourising, However there can also be drawbacks with too many wicks and these could be; using large amounts of e liquid or burning out the atomizer quickly by overworking it.